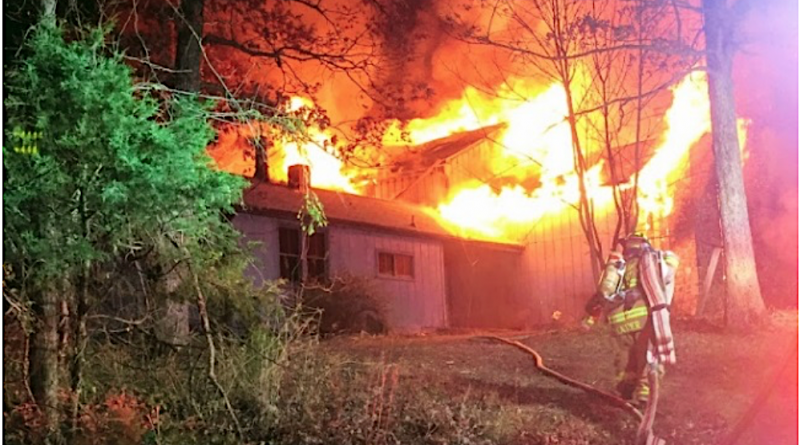 The Loudoun County Fire Marshal’s Office is investigating the cause of an early morning fire that destroyed a vacant Ashburn home. Just after 6 a.m. Tuesday, fire and rescue units were dispatched to the 19800 block of Belmont Ridge Road after a passerby called 911 to report flames coming from a home. Crews from Leesburg, Kincora, Moorefield, Lansdowne, Ashburn, Cascades, Hamilton and Fairfax County responded. They found the vacant, two-story, single-family home with extensive fire and smoke showing. Because of the deteriorated condition of the structure, crews did not enter the house. The fire was extinguished approximately 20 minutes after their arrival. The Fire Marshal’s Office estimated damages at $285,000.